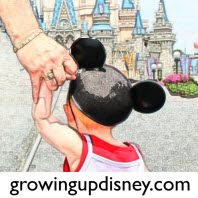 Growing Up Disney: Merry Monday Morning! I, Ridge, have been tasked with welcoming you all to Monday morning. With that I hope you have all had at least a sip of coffee because I have a picture I am really proud of and have been sitting on it for a week. Saturday, March 4th, was the Yeti's 5th birthday at Disney's Animal Kingdom. I was lucky enough to go to the AP event that night and had the chance to ride more times than I cared to keep count. Fortunately, I captured this rare image of the Yeti as he almost got us. Ladies and Gentlemen, the Yeti.